This file lists all major changes in Werkzeug over the versions. For API breaking changes have a look at API Changes, they are listed there in detail. Resolved a regression with status code handling in the integrated development server. HTTP exceptions are now automatically caught by Request.application. Added support for edge as browser. Added support for platforms that lack SpooledTemporaryFile. Added support for the SameSite cookie attribute. get_multi on cache clients now returns lists all the time. Improved the watchdog observer shutdown for the reloader to not crash on exit on older Python versions. Resolved an issue where machine ID for the reloader PIN was not read accurately on windows. Added a workaround for syntax errors in init files in the reloader. Added support for using the reloader with console scripts on windows. The EnvironHeaders object now skips over empty content type and lengths if they are set to falsy values. Cookie values are now also permitted to include slashes and equal signs without quoting. Relaxed the regex for the routing converter arguments. If cookies are sent without values they are now assumed to have an empty value and the parser accepts this. Previously this could have corrupted cookies that followed the value. The test Client and EnvironBuilder now support mimetypes like the request object does. EnvironHeaders no longer raises weird errors if non string keys are passed to it. Fix regression: Pull request #892 prevented Werkzeug from correctly logging the IP of a remote client behind a reverse proxy, even when using ProxyFix . Partially revert change to class hierarchy of Headers . See #1084. Improved the build error suggestions. In particular only if someone stringifies the error will the suggestions be calculated. Added support for uWSGI’s caching backend. Fix a bug where iterating over a FileStorage would result in an infinite loop. Datastructures now inherit from the relevant baseclasses from the collections module in the stdlib. See #794. Add support for recognizing NetBSD, OpenBSD, FreeBSD, DragonFlyBSD platforms in the user agent string. If LocalProxy ’s wrapped object is a function, refer to it with __wrapped__ attribute. The defaults of generate_password_hash have been changed to more secure ones, see pull request #753. Add support for encoding in options header parsing, see pull request #933.
test.Client now properly handles Location headers with relative URLs, see pull request #879. When HTTPException is raised, it now prints the description, for easier debugging. Werkzeug’s dict-like datastructures now have view-methods under Python 2, see pull request #968. Fix a bug in MultiPartParser when no stream_factory was provided during initialization, see pull request #973. Disable autocorrect and spellchecker in the debugger middleware’s Python prompt, see pull request #994. Don’t redirect to slash route when method doesn’t match, see pull request #907. Fix a bug when using SharedDataMiddleware with frozen packages, see pull request #959. Range header parsing function fixed for invalid values #974. Add support for byte Range Requests, see pull request #978. Use modern cryptographic defaults in the dev servers #1004.
the post() method of the test client now accept file object through the data parameter. Color run_simple’s terminal output based on HTTP codes #1013. Fix self-XSS in debugger console, see #1031. Fix IPython 5.x shell support, see #1033.
werkzeug.serving: Fix crash of reloader when using python -m werkzeug.serving . Released on December 30th 2016. Bugfix for the bugfix in the previous release. Check if platform can fork before importing ForkingMixIn, raise exception when creating ForkingWSGIServer on such a platform, see PR #999. Released on December 26th 2016. Correct fix for the reloader issuer on certain Windows installations. Fix more bugs in multidicts regarding empty lists. See #1000. Add some docstrings to some EnvironBuilder properties that were previously unintentionally missing. Added a workaround for the reloader on windows. Released on August 31st 2016. Fix a bug in parse_options_header where an invalid content type starting with comma or semi-colon would result in an invalid return value, see issue #995. Fix a bug in multidicts when passing empty lists as values, see issue #979. Fix a security issue that allows XSS on the Werkzeug debugger. See #1001. Released on May 24th 2016. Fixed a bug that occurs when running on Python 2.6 and using a broken locale. See pull request #912. Fixed a crash when running the debugger on Google App Engine. See issue #925. Fixed an issue with multipart parsing that could cause memory exhaustion. Released on April 24th 2016. Corrected an issue that caused the debugger not to use the machine GUID on POSIX systems. Corrected a Unicode error on Python 3 for the debugger’s PIN usage. Corrected the timestamp verification in the pin debug code. Without this fix the pin was remembered for too long. Released on April 15th 2016.
fixed a problem with the machine GUID detection code on OS X on Python 3. Released on April 14th 2016.
fixed a regression on Python 3 for the debugger. werkzeug.serving: Still show the client address on bad requests. increased the pin timeout to a week to make it less annoying for people which should decrease the chance that users disable the pin check entirely. werkzeug.serving: Fix broken HTTP_HOST when path starts with double slash. Released on March 22nd 2016.
werkzeug.serving: Fix crash when attempting SSL connection to HTTP server. Released on February 14th 2016. Fixed werkzeug.serving not working from -m flag. Fixed incorrect weak etag handling. Released on December 20th 2015. Fixed an issue with copy operations not working against proxies. Changed the logging operations of the development server to correctly log where the server is running in all situations again. Fixed another regression with SSL wrapping similar to the fix in 0.11.2 but for a different code path. Released on November 12th 2015. Fix inheritable sockets on Windows on Python 3. Fixed an issue with the forking server not starting any longer. Fixed SSL wrapping on platforms that supported opening sockets by file descriptor. No longer log from the watchdog reloader. Unicode errors in hosts are now better caught or converted into bad request errors. Released on November 10th 2015. Fixed a regression on Python 3 in the debugger. Released on November 8th 2015, codename Gleisbaumaschine. Added reloader_paths option to run_simple and other functions in werkzeug.serving. This allows the user to completely override the Python module watching of Werkzeug with custom paths. Many custom cached properties of Werkzeug’s classes are now subclasses of Python’s property type (issue #616). bind_to_environ now doesn’t differentiate between implicit and explicit default port numbers in HTTP_HOST (pull request #204). BuildErrors are now more informative. They come with a complete sentence as error message, and also provide suggestions (pull request #691). Fix a bug in the user agent parser where Safari’s build number instead of version would be extracted (pull request #703). Fixed issue where RedisCache set_many was broken for twemproxy, which doesn’t support the default MULTI command (pull request #702). mimetype parameters on request and response classes are now always converted to lowercase. Werkzeug now assumes UTF-8 as filesystem encoding on Unix if Python detected it as ASCII. New optional has method on caches. Fixed various bugs in parse_options_header (pull request #643). If the reloader is enabled the server will now open the socket in the parent process if this is possible. This means that when the reloader kicks in the connection from client will wait instead of tearing down. This does not work on all Python versions. Implemented PIN based authentication for the debugger. This can optionally be disabled but is discouraged. This change was necessary as it has been discovered that too many people run the debugger in production. Devserver no longer requires SSL module to be installed. Reloader: Correctly detect file changes made by moving temporary files over the original, which is e.g. the case with PyCharm (pull request #722). Fix bool behavior of werkzeug.datastructures.ETags under Python 3 (issue #744). Re-release of 0.10.3 with packaging artifacts manually removed. Re-release of 0.10.2 without packaging artifacts. Using MultiDict when building URLs is now not supported again. The behavior introduced several regressions. Fix performance problems with stat-reloader (pull request #715). Fixed regression with multiple query values for URLs (pull request #667). Fix issues with eventlet’s monkeypatching and the builtin server (pull request #663). Released on January 30th 2015, codename Bagger. Changed the error handling of and improved testsuite for the caches in contrib.cache. Fixed a bug on Python 3 when creating adhoc ssl contexts, due to sys.maxint not being defined. Fixed a bug on Python 3, that caused make_ssl_devcert() to fail with an exception. Added exceptions for 504 and 505. Added support for ChromeOS detection. Added UUID converter to the routing system. Added message that explains how to quit the server. Fixed a bug on Python 2, that caused len for werkzeug.datastructures.CombinedMultiDict to crash. Added support for stdlib pbkdf2 hmac if a compatible digest is found. Ported testsuite to use py.test. Minor optimizations to various middlewares (pull requests #496 and #571). Use stdlib ssl module instead of OpenSSL for the builtin server (issue #434). This means that OpenSSL contexts are not supported anymore, but instead ssl.SSLContext from the stdlib. Allow protocol-relative URLs when building external URLs. Fixed Atom syndication to print time zone offset for tz-aware datetime objects (pull request #254). Improved reloader to track added files and to recover from broken sys.modules setups with syntax errors in packages. cache.RedisCache now supports arbitrary **kwargs for the redis object. werkzeug.test.Client now uses the original request method when resolving 307 redirects (pull request #556). werkzeug.datastructures.MIMEAccept now properly deals with mimetype parameters (pull request #205). werkzeug.datastructures.Accept now handles a quality of 0 as intolerable, as per RFC 2616 (pull request #536). werkzeug.urls.url_fix now properly encodes hostnames with idna encoding (issue #559). It also doesn’t crash on malformed URLs anymore (issue #582). werkzeug.routing.MapAdapter.match now recognizes the difference between the path / and an empty one (issue #360). The interactive debugger now tries to decode non-ascii filenames (issue #469). Increased default key size of generated SSL certificates to 1024 bits (issue #611). Added support for specifying a Response subclass to use when calling redirect(). werkzeug.test.EnvironBuilder now doesn’t use the request method anymore to guess the content type, and purely relies on the form, files and input_stream properties (issue #620). Added Symbian to the user agent platform list. wrappers.Request.method is now always uppercase, eliminating inconsistencies of the WSGI environment (issue 647). routing.Rule.empty now works correctly with subclasses of Rule (pull request #645). Made map updating safe in light of concurrent updates. Allow multiple values for the same field for url building (issue #658). 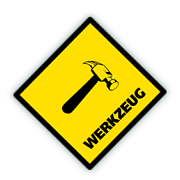 Fix unicode problems in werkzeug.debug.tbtools. Fix Python 3-compatibility problems in werkzeug.posixemulation. Backport fix of fatal typo for ImmutableList (issue #492). Make creation of the cache dir for FileSystemCache atomic (issue #468). Use native strings for memcached keys to work with Python 3 client (issue #539). Fix charset detection for werkzeug.debug.tbtools.Frame objects (issues #547 and #532). Fix AttributeError masking in werkzeug.utils.import_string (issue #182). Explicitly shut down server (issue #519). Fix timeouts greater than 2592000 being misinterpreted as UNIX timestamps in werkzeug.contrib.cache.MemcachedCache (issue #533). Fix bug where werkzeug.exceptions.abort would raise an arbitrary subclass of the expected class (issue #422). werkzeug.urls.url_fix now doesn’t crash on malformed URLs anymore, but returns them unmodified. This is a cheap workaround for #582, the proper fix is included in version 0.10. The repr of werkzeug.wrappers.Request doesn’t crash on non-ASCII-values anymore (pull request #466). Fix bug in cache.RedisCache when combined with redis.StrictRedis object (pull request #583). The qop parameter for WWW-Authenticate headers is now always quoted, as required by RFC 2617 (issue #633). Fix bug in werkzeug.contrib.cache.SimpleCache with Python 3 where add/set may throw an exception when pruning old entries from the cache (pull request #651). Added a safe conversion for IRI to URI conversion and use that internally to work around issues with spec violations for protocols such as itms-service. Fixed uri_to_iri() not re-encoding hashes in query string parameters. Forward charset argument from request objects to the environ builder. Fixed error handling for missing boundaries in multipart data. Fixed session creation on systems without os.urandom(). Fixed pluses in dictionary keys not being properly URL encoded. Fixed a problem with deepcopy not working for multi dicts. Fixed a double quoting issue on redirects. Fixed a problem with unicode keys appearing in headers on 2.x. Fixed a bug with unicode strings in the test builder. Fixed a unicode bug on Python 3 in the WSGI profiler. Fixed an issue with the safe string compare function on Python 2.7.7 and Python 3.4. Fixed an issue with Python 3.3 and an edge case in cookie parsing. Fixed decoding errors not handled properly through the WSGI decoding dance. Fixed URI to IRI conversion incorrectly decoding percent signs. Restored behavior of the data descriptor of the request class to pre 0.9 behavior. This now also means that .data and .get_data() have different behavior. New code should use .get_data() always. In addition to that there is now a flag for the .get_data() method that controls what should happen with form data parsing and the form parser will honor cached data. This makes dealing with custom form data more consistent. Added unsafe parameter to url_quote(). Fixed an issue with url_quote_plus() not quoting ‘+’ correctly. Ported remaining parts of RedisCache to Python 3.3. Fixed a deprecation warning in the contrib atom module. Fixed a regression with setting of content types through the headers dictionary instead with the content type parameter. Use correct name for stdlib secure string comparison function. Fixed a wrong reference in the docstring of release_local(). Fixed an AttributeError that sometimes occurred when accessing the werkzeug.wrappers.BaseResponse.is_streamed attribute. Fixed an issue with integers no longer being accepted in certain parts of the routing system or URL quoting functions. Fixed an issue with url_quote not producing the right escape codes for single digit codepoints. Fixed an issue with SharedDataMiddleware not reading the path correctly and breaking on etag generation in some cases. Properly handle Expect: 100-continue in the development server to resolve issues with curl. Automatically exhaust the input stream on request close. This should fix issues where not touching request files results in a timeout. Fixed exhausting of streams not doing anything if a non-limited stream was passed into the multipart parser. Raised the buffer sizes for the multipart parser. Released on June 13nd 2013, codename Planierraupe. Added support for tell() on the limited stream. ETags now is nonzero if it contains at least one etag of any kind, including weak ones. Added a workaround for a bug in the stdlib for SSL servers. Improved SSL interface of the devserver so that it can generate certificates easily and load them from files. Refactored test client to invoke the open method on the class for redirects. This makes subclassing more powerful. werkzeug.wsgi.make_chunk_iter() and werkzeug.wsgi.make_line_iter() now support processing of iterators and streams. URL generation by the routing system now no longer quotes +. URL fixing now no longer quotes certain reserved characters. The werkzeug.security.generate_password_hash() and check functions now support any of the hashlib algorithms. wsgi.get_current_url is now ascii safe for browsers sending non-ascii data in query strings. added more operators to local proxies. added a hook to override the default converter in the routing system. The description field of HTTP exceptions is now always escaped. Use markup objects to disable that. Added number of proxy argument to the proxy fix to make it more secure out of the box on common proxy setups. It will by default no longer trust the x-forwarded-for header as much as it did before. Added support for fragment handling in URI/IRI functions. Added custom class support for werkzeug.http.parse_dict_header(). Renamed LighttpdCGIRootFix to CGIRootFix . Always treat + as safe when fixing URLs as people love misusing them. Added support to profiling into directories in the contrib profiler. The escape function now by default escapes quotes. Changed repr of exceptions to be less magical. Simplified exception interface to no longer require environments to be passed to receive the response object. Added sentinel argument to IterIO objects. Added pbkdf2 support for the security module. Added a plain request type that disables all form parsing to only leave the stream behind. Removed support for deprecated fix_headers . Removed support for deprecated header_list . Removed support for deprecated parameter for iter_encoded . Removed support for deprecated non-silent usage of the limited stream object. Removed support for previous dummy writable parameter on the cached property. Added support for explicitly closing request objects to close associated resources. Conditional request handling or access to the data property on responses no longer ignores direct passthrough mode. Changed host lookup logic for forwarded hosts to allow lists of hosts in which case only the first one is picked up. Added wsgi.get_query_string , wsgi.get_path_info and wsgi.get_script_name and made the wsgi.pop_path_info and wsgi.peek_path_info functions perform unicode decoding. This was necessary to avoid having to expose the WSGI encoding dance on Python 3. Added content_encoding and content_md5 to the request object’s common request descriptor mixin. added options and trace to the test client. Overhauled the utilization of the input stream to be easier to use and better to extend. The detection of content payload on the input side is now more compliant with HTTP by detecting off the content type header instead of the request method. This also now means that the stream property on the request class is always available instead of just when the parsing fails. Added support for using werkzeug.wrappers.BaseResponse in a with statement. Changed get_app_iter to fetch the response early so that it does not fail when wrapping a response iterable. This makes filtering easier. Introduced get_data and set_data methods for responses. Soft deprecated the data descriptors for request and response objects. Added as_bytes operations to some of the headers to simplify working with things like cookies. Made the debugger paste tracebacks into github’s gist service as private pastes. Added a favicon to the debugger which fixes problem with state changes being triggered through a request to /favicon.ico in Google Chrome. This should fix some problems with Flask and other frameworks that use context local objects on a stack with context preservation on errors. Fixed an issue with scrolling up in the debugger. Fixed an issue with debuggers running on a different URL than the URL root. Fixed a problem with proxies not forwarding some rarely used special methods properly. Added a workaround to prevent the XSS protection from Chrome breaking the debugger. Skip redis tests if redis is not running. Fixed a typo in the multipart parser that caused content-type to not be picked up properly. Fixed another issue with werkzeug.wsgi.make_line_iter() where lines longer than the buffer size were not handled properly. Restore stdout after debug console finished executing so that the debugger can be used on GAE better. Fixed a bug with the redis cache for int subclasses (affects bool caching). Fixed an XSS problem with redirect targets coming from untrusted sources. Redis cache backend now supports password authentication. Fixed a problem with request handling of the builtin server not responding to socket errors properly. The routing request redirect exception’s code attribute is now used properly. Fixed a bug with shutdowns on Windows. Fixed a few unicode issues with non-ascii characters being hardcoded in URL rules. Fixed two property docstrings being assigned to fdel instead of __doc__. Fixed an issue where CRLF line endings could be split into two by the line iter function, causing problems with multipart file uploads. Fixed an issue with the memcache not working properly. Fixed an issue for Python 2.7.1 and higher that broke copying of multidicts with copy.copy(). Changed hashing methodology of immutable ordered multi dicts for a potential problem with alternative Python implementations. Removed data structure specific KeyErrors for a general purpose BadRequestKeyError. The routing system now also accepts strings instead of dictionaries for the query_args parameter since we’re only passing them through for redirects. Werkzeug now automatically sets the content length immediately when the data attribute is set for efficiency and simplicity reasons. The routing system will now normalize server names to lowercase. The routing system will no longer raise ValueErrors in case the configuration for the server name was incorrect. This should make deployment much easier because you can ignore that factor now. Fixed a bug with parsing HTTP digest headers. It rejected headers with missing nc and nonce params. Proxy fix now also updates wsgi.url_scheme based on X-Forwarded-Proto. Added support for key prefixes to the redis cache. Added the ability to suppress some auto corrections in the wrappers that are now controlled via autocorrect_location_header and automatically_set_content_length on the response objects. Werkzeug now uses a new method to check that the length of incoming data is complete and will raise IO errors by itself if the server fails to do so. make_line_iter() now requires a limit that is not higher than the length the stream can provide. Refactored form parsing into a form parser class that makes it possible to hook into individual parts of the parsing process for debugging and extending. For conditional responses the content length is no longer set when it is already there and added if missing. Immutable datastructures are hashable now. Headers datastructure no longer allows newlines in values to avoid header injection attacks. Made it possible through subclassing to select a different remote addr in the proxy fix. Added stream based URL decoding. This reduces memory usage on large transmitted form data that is URL decoded since Werkzeug will no longer load all the unparsed data into memory. Memcache client now no longer uses the buggy cmemcache module and supports pylibmc. GAE is not tried automatically and the dedicated class is no longer necessary. Redis cache now properly serializes data. Fixed a CSRF problem with the debugger. The debugger is now generating private pastes on lodgeit. If URL maps are now bound to environments the query arguments are properly decoded from it for redirects. Fixed a problem with newer versions of IPython. Disabled pyinotify based reloader which does not work reliably. Add support for python-libmemcached to the Werkzeug cache abstraction layer. Improved url_decode() and url_encode() performance. Fixed an issue where the SharedDataMiddleware could cause an internal server error on weird paths when loading via pkg_resources. Fixed an URL generation bug that caused URLs to be invalid if a generated component contains a colon. werkzeug.import_string() now works with partially set up packages properly. Disabled automatic socket switching for IPv6 on the development server due to problems it caused. Werkzeug no longer overrides the Date header when creating a conditional HTTP response. The routing system provides a method to retrieve the matching methods for a given path. The routing system now accepts a parameter to change the encoding error behaviour. The local manager can now accept custom ident functions in the constructor that are forwarded to the wrapped local objects. url_unquote_plus now accepts unicode strings again. Fixed an issue with the filesystem session support’s prune function and concurrent usage. Fixed a problem with external URL generation discarding the port. Added support for pylibmc to the Werkzeug cache abstraction layer. Fixed an issue with the new multipart parser that happened when a linebreak happened to be on the chunk limit. Cookies are now set properly if ports are in use. A runtime error is raised if one tries to set a cookie for a domain without a dot. Fixed an issue with Template.from_file not working for file descriptors. Reloader can now use inotify to track reloads. This requires the pyinotify library to be installed. Werkzeug debugger can now submit to custom lodgeit installations. redirect function’s status code assertion now allows 201 to be used as redirection code. While it’s not a real redirect, it shares enough with redirects for the function to still be useful. Fixed ValueErrors being raised on calls to best_match on MIMEAccept objects when invalid user data was supplied. URL routing now can be passed the URL arguments to keep them for redirects. In the future matching on URL arguments might also be possible. Header encoding changed from utf-8 to latin1 to support a port to Python 3. Bytestrings passed to the object stay untouched which makes it possible to have utf-8 cookies. This is a part where the Python 3 version will later change in that it will always operate on latin1 values. Fixed a bug in the form parser that caused the last character to be dropped off if certain values in multipart data are used. Multipart parser now looks at the part-individual content type header to override the global charset. Introduced mimetype and mimetype_params attribute for the file storage object. Changed FileStorage filename fallback logic to skip special filenames that Python uses for marking special files like stdin. Introduced more HTTP exception classes. call_on_close now can be used as a decorator. Support for redis as cache backend. Support for the RFC 5789 PATCH method. New custom routing parser and better ordering. Removed support for is_behind_proxy . Use a WSGI middleware instead that rewrites the REMOTE_ADDR according to your setup. Also see the werkzeug.contrib.fixers.ProxyFix for a drop-in replacement. Added cookie forging support to the test client. Added support for host based matching in the routing system. Switched from the default ‘ignore’ to the better ‘replace’ unicode error handling mode. The builtin server now adds a function named ‘werkzeug.server.shutdown’ into the WSGI env to initiate a shutdown. This currently only works in Python 2.6 and later. Headers are now assumed to be latin1 for better compatibility with Python 3 once we have support. Added accept_json property analogous to accept_html on the werkzeug.datastructures.MIMEAccept. werkzeug.utils.import_string() now fails with much better error messages that pinpoint to the problem. Added support for parsing of the If-Range header (werkzeug.http.parse_if_range_header() and werkzeug.datastructures.IfRange). Added support for parsing of the Range header (werkzeug.http.parse_range_header() and werkzeug.datastructures.Range). Added support for parsing of the Content-Range header of responses and provided an accessor object for it (werkzeug.http.parse_content_range_header() and werkzeug.datastructures.ContentRange). renamed the attribute implicit_seqence_conversion attribute of the request object to implicit_sequence_conversion . heavily improved local objects. Should pick up standalone greenlet builds now and support proxies to free callables as well. There is also a stacked local now that makes it possible to invoke the same application from within itself by pushing current request/response on top of the stack. routing build method will also build non-default method rules properly if no method is provided. added proper IPv6 support for the builtin server. fixed a NameError in the session system. fixed a bug with empty arguments in the werkzeug.script system. added secure password hashing and checking functions. HEAD is now implicitly added as method in the routing system if GET is present. Not doing that was considered a bug because often code assumed that this is the case and in web servers that do not normalize HEAD to GET this could break HEAD requests. the script support can start SSL servers now. Released on Feb 19th 2010, codename Hammer. sys.path is now printed from the testapp. fixed an RFC 2068 incompatibility with cookie value quoting. the FileStorage now gives access to the multipart headers. routing.Map.bind_to_environ() raises a more correct error message now if the map was bound to an invalid WSGI environment. added support for SSL to the builtin development server. Response objects are no longer modified in place when they are evaluated as WSGI applications. For backwards compatibility the fix_headers function is still called in case it was overridden. You should however change your application to use get_wsgi_headers if you need header modifications before responses are sent as the backwards compatibility support will go away in future versions. append_slash_redirect() no longer requires the QUERY_STRING to be in the WSGI environment. request and response objects have a default __repr__ now. builtin data structures can be pickled now. the form data parser will now look at the filename instead the content type to figure out if it should treat the upload as regular form data or file upload. This fixes a bug with Google Chrome. improved performance of make_line_iter and the multipart parser for binary uploads. fixed a path quoting bug in EnvironBuilder that caused PATH_INFO and SCRIPT_NAME to end up in the environ unquoted. werkzeug.BaseResponse.freeze() now sets the content length. for unknown HTTP methods the request stream is now always limited instead of being empty. This makes it easier to implement DAV and other protocols on top of Werkzeug. multi-value test-client posts from a standard dictionary are now supported. Previously you had to use a multi dict. rule templates properly work with submounts, subdomains and other rule factories now. deprecated non-silent usage of the werkzeug.LimitedStream. added support for IRI handling to many parts of Werkzeug. development server properly logs to the werkzeug logger now. added BaseResponse.make_sequence(), BaseResponse.is_sequence and BaseResponse._ensure_sequence(). import_string accepts unicode strings as well now. development server doesn’t break on double slashes after the host name. test client works correctly with multiple cookies now. the werkzeug.routing.Map now has a class attribute with the default converter mapping. This helps subclasses to override the converters without passing them to the constructor. improved the session support for more efficient session storing on the filesystem. Also added support for listing of sessions currently stored in the filesystem session store. werkzeug no longer utilizes the Python time module for parsing which means that dates in a broader range can be parsed. the wrappers have no class attributes that make it possible to swap out the dict and list types it uses. werkzeug debugger should work on the appengine dev server now. the URL builder supports dropping of unexpected arguments now. Previously they were always appended to the URL as query string. profiler now writes to the correct stream. url routing system properly supports unicode URL rules now. file upload streams no longer have to provide a truncate() method. ImmutableDict.copy(), ImmutableMultiDict.copy() and ImmutableTypeConversionDict.copy() return mutable shallow copies. fixed a bug with the make_runserver script action. MultiDict.items() and MutiDict.iteritems() now accept an argument to return a pair for each value of each key. fixed some minor bugs in the atom feed generator. fixed a bug with client cookie header parsing being case sensitive. fixed a not-working deprecation warning. fixed package loading for SharedDataMiddleware. fixed a bug in the secure cookie that made server-side expiration on servers with a local time that was not set to UTC impossible. fixed console of the interactive debugger. Released on April 24th, codename Schlagbohrer. added MIMEAccept and CharsetAccept that work like the regular Accept but have extra special normalization for mimetypes and charsets and extra convenience methods. switched the serving system from wsgiref to something homebrew. the Client now supports cookies. added the fixers module with various fixes for webserver bugs and hosting setup side-effects. moved LimitedStream from the contrib package into the regular werkzeug one and changed the default behavior to raise exceptions rather than stopping without warning. The old class will stick in the module until 0.6.
implemented experimental multipart parser that replaces the old CGI hack. url_encode() and url_decode() now accept a separator argument to switch between & and ; as pair separator. The magic switch is no longer in place. all form data parsing functions as well as the BaseRequest object have parameters (or attributes) to limit the number of incoming bytes (either totally or per field). request objects are now enforced to be read only for all collections. added many new collection classes, refactored collections in general. test support was refactored, semi-undocumented werkzeug.test.File was replaced by werkzeug.FileStorage. EnvironBuilder was added and unifies the previous distinct create_environ(), Client and BaseRequest.from_values(). They all work the same now which is less confusing. officially documented imports from the internal modules as undefined behavior. These modules were never exposed as public interfaces. removed FileStorage.__len__ which previously made the object falsy for browsers not sending the content length which all browsers do. SharedDataMiddleware uses wrap_file now and has a configurable cache timeout. added passthrough_errors to run_simple . MultiDict copies now instead of revealing internal lists to the caller for getlist and iteration functions that return lists. added follow_redirect to the open() of Client. werkzeug.contrib.cache.Memcached accepts now objects that implement the memcache.Client interface as alternative to a list of strings with server addresses. There is also now a GAEMemcachedCache that connects to the Google appengine cache. explicitly convert secret keys to bytestrings now because Python 2.6 no longer does that. url_encode and all interfaces that call it, support ordering of options now which however is disabled by default. the development server no longer resolves the addresses of clients. Fixed a typo in werkzeug.test that broke File . Map.bind_to_environ uses the Host header now if available. werkzeug.test.Client can now run the application buffered in which case the application is properly closed automatically. Fixed Headers.set (#354). Caused header duplication before. Fixed Headers.pop (#349). default parameter was not properly handled. Headers is more compatible with wsgiref now. Released on November 23rd 2008, codename Schraubenzieher. Client supports an empty data argument now. fixed a bug in Response.application that made it impossible to use it as method decorator. the secure cookie works properly in load balanced environments with different cpu architectures now. CacheControl.no_cache and CacheControl.private behavior changed to reflect the possibilities of the HTTP RFC. Setting these attributes to None or True now sets the value to “the empty value”. More details in the documentation. BaseResponse.make_conditional now always returns self . Previously it didn’t for post requests and such. fixed a bug in boolean attribute handling of html and xhtml . added graceful error handling to the debugger pastebin feature. fixed a bug with the __setitem__ method of Headers that didn’t properly remove all keys on replacing. the responses now automatically call remove_entity_headers if the status code is 304.
fixed a bug with Href query parameter handling. Previously the last item of a call to Href was not handled properly if it was a dict. headers now support a pop operation to better work with environ properties. fixed a security problem with werkzeug.contrib.SecureCookie . Released on June 14th 2008, codename EUR325CAT6. added support for redirecting in url routing. MultiDict , CombinedMultiDict , Headers , and EnvironHeaders raise special key errors now that are subclasses of BadRequest so if you don’t catch them they give meaningful HTTP responses. added support for alternative encoding error handling and the new HTTPUnicodeError which (if not caught) behaves like a BadRequest . added ETag support to the SharedDataMiddleware and added an option to disable caching. fixed is_xhr on the request objects. fixed bug with SharedDataMiddleware . url_encode treats lists and tuples in dicts passed to it as multiple values for the same key so that one doesn’t have to pass a MultiDict to the function. run_simple accepts use_debugger and use_evalex parameters now, like the make_runserver factory function from the script module. it’s now possible to initialize requests as “shallow” requests which causes runtime errors if the request object tries to consume the input stream. Released Feb 14th 2008, codename Faustkeil. Added AnyConverter to the routing system. BaseReporterStream is now part of the werkzeug contrib module. From Werkzeug 0.3 onwards you will have to import it from there. RequestRedirect is now a subclass of HTTPException and uses a 301 status code instead of 302.
url_encode and url_decode can optionally treat keys as unicode strings now, too. werkzeug.script has a different caller format for boolean arguments now. renamed lazy_property to cached_property . added is_* properties to request objects. added empty() method to routing rules. added extends to Headers . added dump_cookie and parse_cookie . added as_tuple to the Client . the HTTPExceptions accept an argument description now which overrides the default description. the MapAdapter has a default for path info now. If you use bind_to_environ you don’t have to pass the path later. the wsgiref subclass werkzeug uses for the dev server does not use direct sys.stderr logging any more but a logger called “werkzeug”. refactored request and response objects into base objects, mixins and full featured subclasses that implement all mixins. werkzeug’s routing raises MethodNotAllowed now if it matches a rule but for a different method. Released on Dec 9th 2007, codename Wictorinoxger. Soft-deprecated the BaseRequest.data and BaseResponse.data attributes and introduced new methods to interact with entity data. This will allows in the future to make better APIs to deal with request and response entity bodies. So far there is no deprecation warning but users are strongly encouraged to update. The Headers and EnvironHeaders datastructures are now designed to operate on unicode data. This is a backwards incompatible change and was necessary for the Python 3 support. The Headers object no longer supports in-place operations through the old linked method. This has been removed without replacement due to changes on the encoding model. renamed the attribute implicit_seqence_conversion attribute of the request object to implicit_sequence_conversion . Because this is a feature that is typically unused and was only in there for the 0.6 series we consider this a bug that does not require backwards compatibility support which would be impossible to properly implement. BaseResponse.get_wsgi_headers() replaces the older BaseResponse.fix_headers method. The older method stays around for backwards compatibility reasons until 0.7. BaseResponse.header_list was deprecated. You should not need this function, get_wsgi_headers and the to_list method on the regular headers should serve as a replacement. Deprecated BaseResponse.iter_encoded ’s charset parameter. LimitedStream non-silent usage was deprecated. the __repr__ of HTTP exceptions changed. This might break doctests. Werkzeug switched away from wsgiref as library for the builtin webserver. The encoding parameter for Templates is now called charset . The older one will work for another two versions but warn with a DeprecationWarning. The Client has cookie support now which is enabled by default. BaseResponse._get_file_stream() is now passed more parameters to make the function more useful. In 0.6 the old way to invoke the method will no longer work. To support both newer and older Werkzeug versions you can add all arguments to the signature and provide default values for each of them. url_decode() no longer supports both & and ; as separator. This has to be specified explicitly now. The request object is now enforced to be read-only for all attributes. If your code relies on modifications of some values makes sure to create copies of them using the mutable counterparts! undocumented werkzeug.test.File was replaced by FileWrapper. it’s not longer possible to pass dicts inside the data dict in Client. Use tuples instead. It’s save to modify the return value of MultiDict.getlist() and methods that return lists in the MultiDict now. The class creates copies instead of revealing the internal lists. However MultiDict.setlistdefault still (and intentionally) returns the internal list for modifications. Werkzeug 0.3 will be the last release with Python 2.3 compatibility. The environ_property is now read-only by default. This decision was made because the request in general should be considered read-only. The BaseReporterStream is now part of the contrib module, the new module is werkzeug.contrib.reporterstream . Starting with 0.3 , the old import will not work any longer. RequestRedirect now uses a 301 status code. Previously a 302 status code was used incorrectly. If you want to continue using this 302 code, use response = redirect(e.new_url, 302). lazy_property is now called cached_property . The alias for the old name will disappear in Werkzeug 0.3.
match can now raise MethodNotAllowed if configured for methods and there was no method for that request. The response_body attribute on the response object is now called data . With Werkzeug 0.3 the old name will not work any longer. The file-like methods on the response object are deprecated. If you want to use the response object as file like object use the Response class or a subclass of BaseResponse and mix the new ResponseStreamMixin class and use response.stream .